Georgie Hetherington, who crossed for a hat-trick of tries for Castleford Tigers Women. Castleford Tigers and Featherstone Rovers met with contrasting fortunes when they started their Women's Super League campaign. 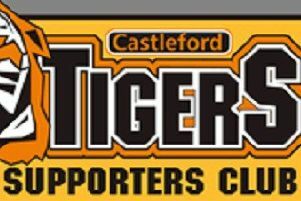 Castleford, who reached the end of season play-offs and the Challenge Cup final last year, started their 2019 season in emphatic style with an 80-0 win away to York City Knights. Tara Stanley led the points scoring with two tries and 10 goals for a personal haul of 28 points. Esme Reynolds and Georgie Hetherington crossed for three tries each and further scorers were Georgia Roche, Kelsey Alexis, Lacey Owen (two), Grace Field (two) and Lucy Eastwood. Featherstone Rovers Ladies put up a good effort away to Bradford Bulls, but suffered a 38-16 defeat at Odsal. Stacey Greenwood and Amy Hardcastle both scored hat-tricks, while Savannah Andrade also crossed for the home side. Featherstone were right in the contest up to half-time as they only trailed 16-12. Katie Hepworth, who joined from Castleford last year, was a try scorer and kicked two goals, but Jess Courtman had to be stretchered off with an injury.